The doctor was reportedly under severe mental pressure due to the case registered against him a fortnight ago under the SC/ST Act by one of the nurses in the medical facility. Unable to bear the pressure, the doctor reportedly took the extreme step. However, the police informed that no suicide note was found from the spot. 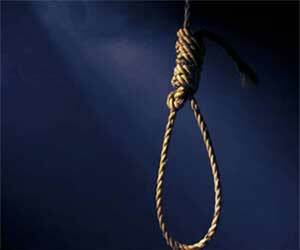 CHURHAT: A 29-year-old doctor posted at Community Health Centre (CHC), Churahat has allegedly committed suicide by hanging himself in his official residence. According to his colleagues, he was under severe pressure after a molestation complaint had been filed against him. The doctor, resident of Dwarka Nagar of Rewa was posted in the CHC for the last one year. The incident came to light when the doctor did not arrive at the health centre on Saturday. The doctor in charge sent one of his staff to check at his official quarter. When no response came from inside, officials informed the police. The Churhat police arrived on the spot and opened the door. It was found that the doctor hanged himself to the fan with a towel. The family of the deceased was informed and demanded the post mortem report. The Patrika reports four months ago a nurse had made serious allegations of molestation on Dr. Shivam. In the case, the police had registered an FIR after the investigation. According to the Churahat police, the case was registered under section 354,323 IPC, 3 (2) (VA) SCST Act in the crime number 02/2016 on Dr. Shivam Mishra. During the police investigation, the ophthalmic assistant and an employee in Churahat had given a statement in favor of the nurse, who had made a major cause of the FIR against them. Many times the agreement was tried in the matter but the agreement was not done. A person known to the deceased said on the condition of anonymity that the case registered against Mishra was allegedly frivolous and was out of vengeance as the doctor issued a notice to the said staff on grounds of dereliction of duty. Churhat SDPO Shailendra Shrivastava told ANI that the body has been sent for post mortem to Rewa Medical College. “We are investigating all the angles. A case has been registered under the relevant section of the law,” he added. These incidents will increase till the pendulum swings to an extreme. Only then will the authorities bother. We have made multiple \”touch me nots\” against whom no appeal is admitted. All the molestation case needed was statement of two accomplice of nurse. And the doctor\’s life was ruined. In addition sc St act was used to end him. There is this reason why people do not want to work with sc St people in their division because you can\’t say anything to them. All the work is done by general people. This life lost should be avenged but who will stand for the dead soul. It is really unfortunate. How can Police register FIR, without investigation? Nowadays females lodge complaint for extracting money or due to hatred or family dispute. An honest person can not bear the shame in the society and may commit suicide. Only after the investigation FIR should be lodged. If a person is sure, he has not done anything wrong, then he should lodge counter FIR. But we should not go to the extent of suicide. Let it be any act/section, It has to be proved in the court of Law. Good or bad, have to wait for the judgement. But this kind of extreme step doesn’t help and instead leaves the family under more stress. Rest in peace.